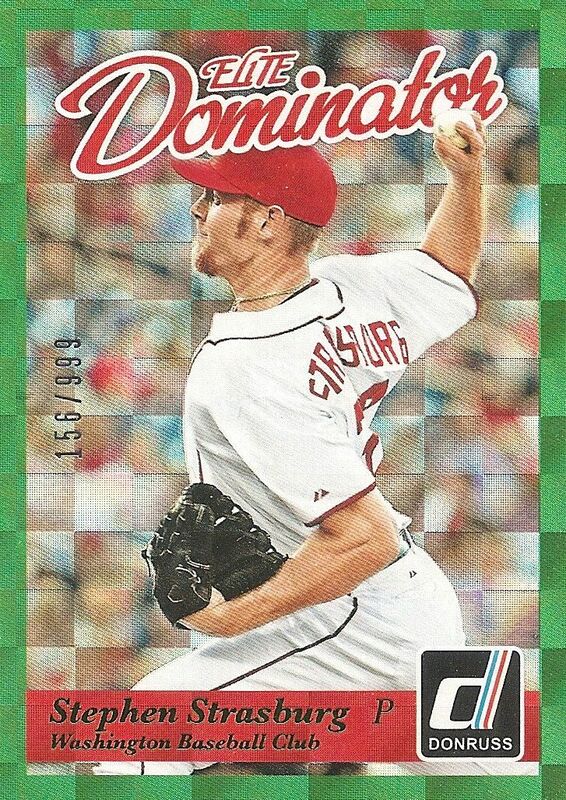 Maybe Panini was reading my blog... because the new 2014 Donruss Baseball is almost the exact product I wanted the Donruss brand to be. I knew from the first time I saw the preview of this product that I would eagerly want to break it. Well, today is the day! I'm curious to see if this product lives up to my expectations of it. 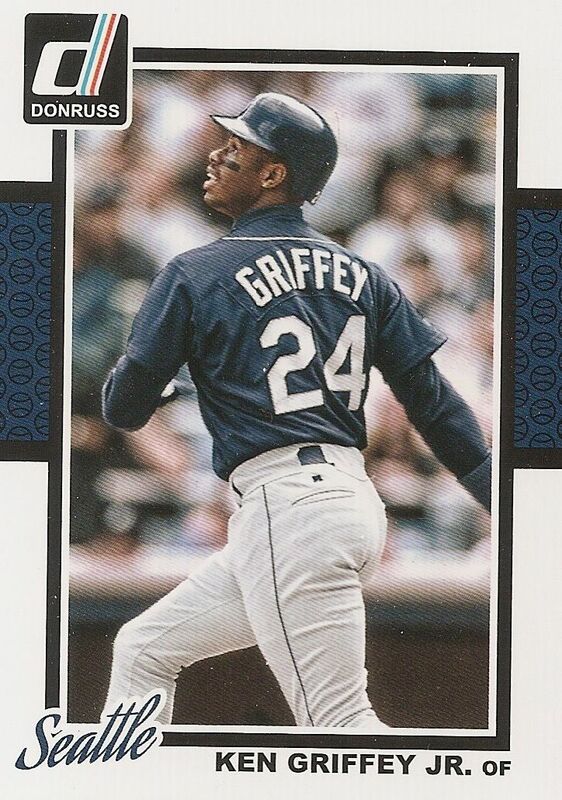 My initial feeling towards the base card design was a one of disappointment... until I realized that the base cards could have been something that Donruss put out in the modern era had they kept making cards. The base design is very simple and low key, but they do hold to the old Donruss traditions. Donruss cards of old had a photo framed by a very distinct border. You could spot a Donruss card and tell immediately what year it was from by its border. These base cards have that going for them. 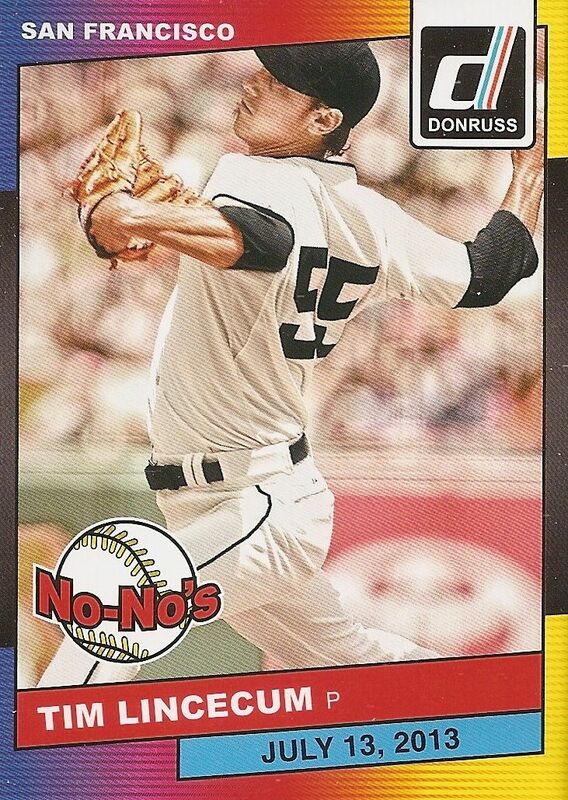 I also enjoy the fact that Panini used the very old school looking Donruss logo in the corner. So I've warmed to the base cards a bit... but I think I would have gone with a more elaborate and colorful border design than the one they have here. The white border is too reminiscent of the cheaper, non-distinct base cards of lower-end baseball card products. Oh boy, the backs are so great! I usually harp on Panini quite a bit about their back designs, but I cannot do so here. If you didn't grow up with Donruss, these backs probably look putrid to you, but for collectors who bought cards in the 80's, these backs should be very familiar. I'm very glad Panini chose to go with the correct looking retro back design. Though these backs lack any sort of modern flare, I'm ok with it. 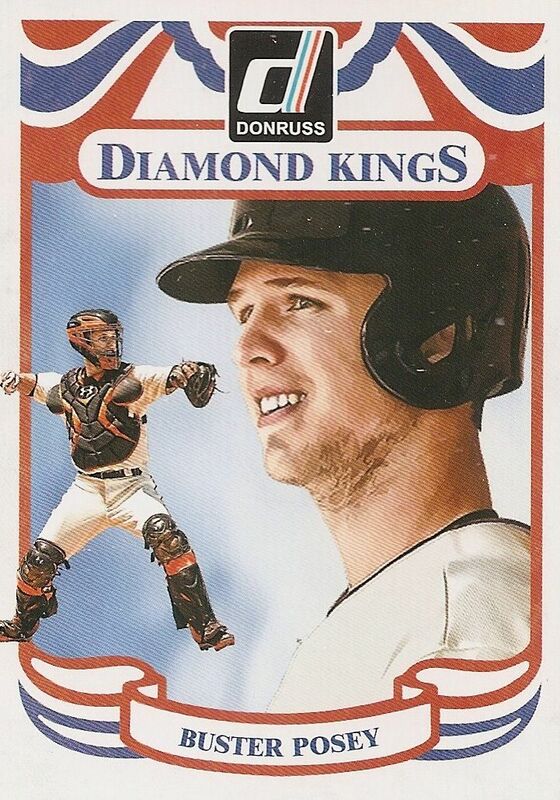 The actual beginning of the Donruss base set are the Diamond Kings art cards. Again, collectors who bought cards in the 80's will know these. Though these Diamond King cards are pretty pieces of art, they don't blow me away, and the amount of white background on them is a bit different than how they used to be. So while I'm glad to see the Diamond Kings in their rightful place at the front of the set, I would have enjoyed them more if they chose a different design scheme for these cards. Rated Rookies come after the Diamond Kings and signify the newest talent baseball has to offer. Panini has put the Rated Rookie logo on a lot of cards in a variety of products, but its true home is here in a set of Donruss. I have found that there are only a few Rated Rookies per box. The Rated Rookies share the exact same design as the base cards except for the addition of the Rated Rookies logo. That's how it was, and that's how it should be. Collectors who buy hobby boxes of Donruss will find two autographs and one memorabilia card per box. 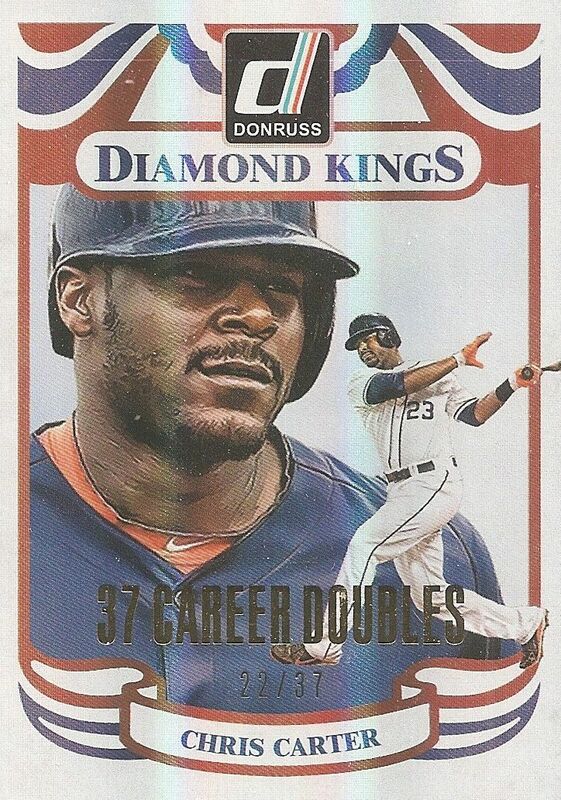 Boxes also come with a giant Diamond King card that could also possibly have an autograph on it. Packs of Donruss are loaded with inserts and parallels to chase down. Team MVP cards carry a 1989 Donruss look. These cards may not appeal to newer collectors, but they carry a lot of good memories for me. 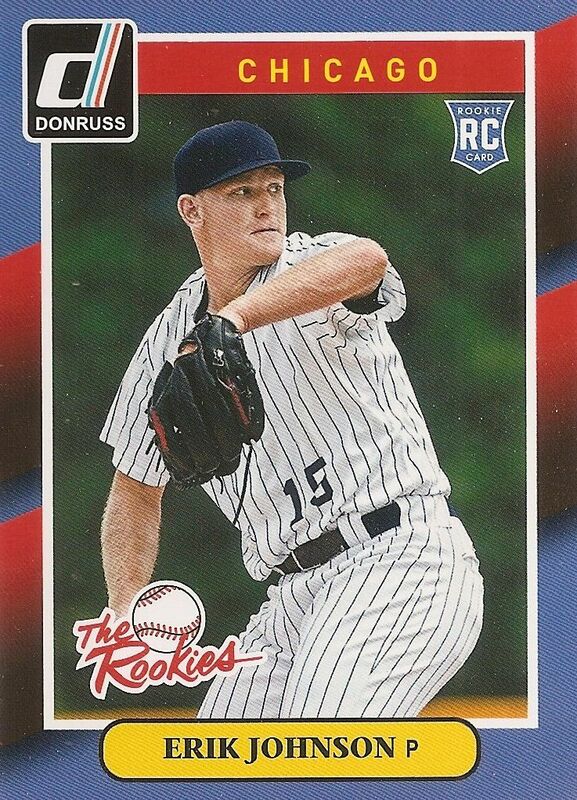 The super retro Donruss logo does look a bit off on these cards though. I think it would have been nice to get the exact design down... all the way to the '89 version of the Donruss logo. The Rookies insert set has an '88-ish design to them. The Rookies set used to be available to collectors in a special mini box set. The mini boxes were really only available to hobby stores, so they were hard to find for collectors like myself who got cards at the grocery store for the most part. These cards are just regular inserts that have a similar look to those. I don't see these being a huge hit with collectors, or of any great worth... they're just a fun throwback. Here are more 1980's-styled cards. These No-No's feature pitchers who have thrown no-hitters. The card commemorates the event by including the date of the no-hitter on the front of the card. To me this card looks very dynamic with all the colors and lines going on. I bet an etched foil version of this card would look super sweet. While the No-No's featured pitchers, these Power Plus cards put the focus on the hitters. The 80's design is again very prevalent on these cards. These cards also employ the use of dual photos on the same card. The effect works really well here showing the players power and speed. The Dominators insert set is probably my favorite type of card found in this year's Donruss. The way Panini used the foil to create a checkered look was amazing. The cards are spectacular in person. I have some Elite Dominator cards from back when they first came out... and usually I like the originals the best, but I have to say these have been done much better. Bravo to Panini for making these cards so well. 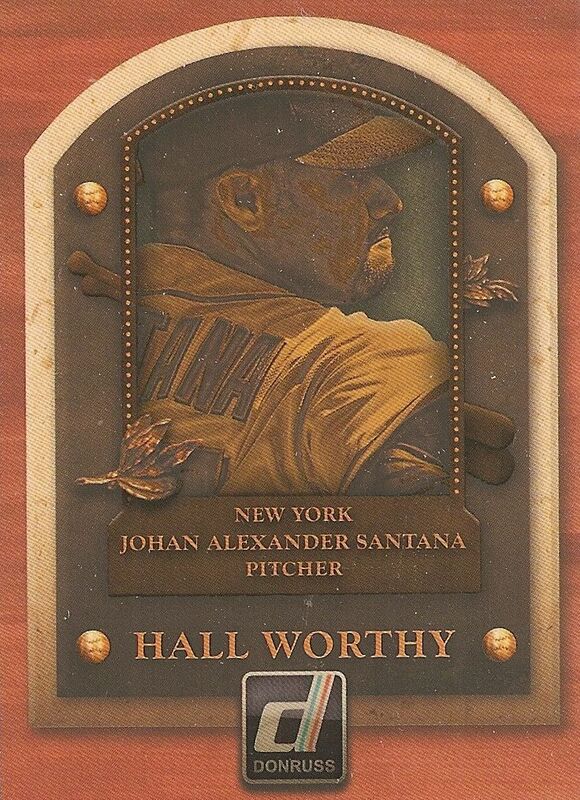 Hall Worthy inserts have the look of a Hall of Fame plaque. The cards are very well designed and have a great look about them. I especially appreciate the wood look here. Panini and Donruss have released similar cards like these before, and have always done them well. 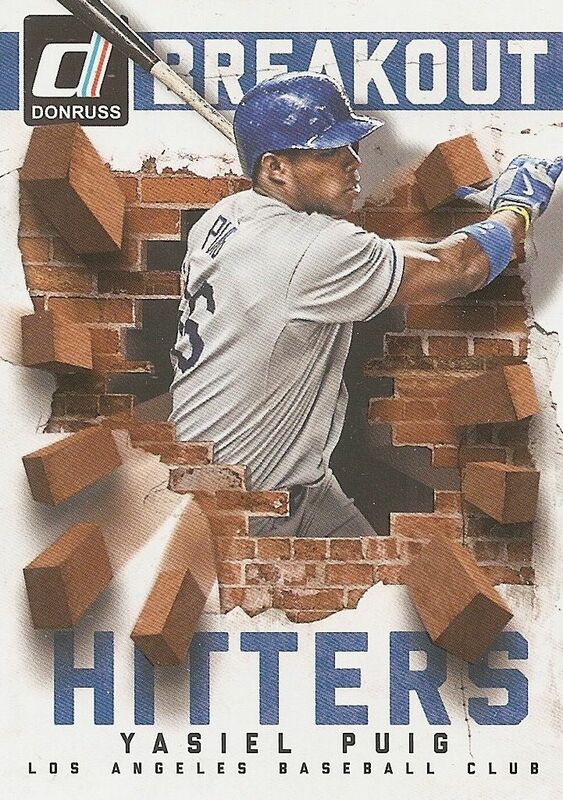 Breakout hitters is an insert set that uses glossy and non-glossy printing effects well. The player and the bricks on the card have glossy printing while the background has a more matte finish. This gives the card a three-dimensional effect. These cards seem like pretty common inserts, but Panini has not spared anything in terms of giving collectors a well thought-out card here. Donruss is loaded with a huge amount of parallel cards with various numberings. It would be far too difficult to detail out the parallel distribution here, but just know that when you find parallels, they will be numbered to all sorts of numbers! 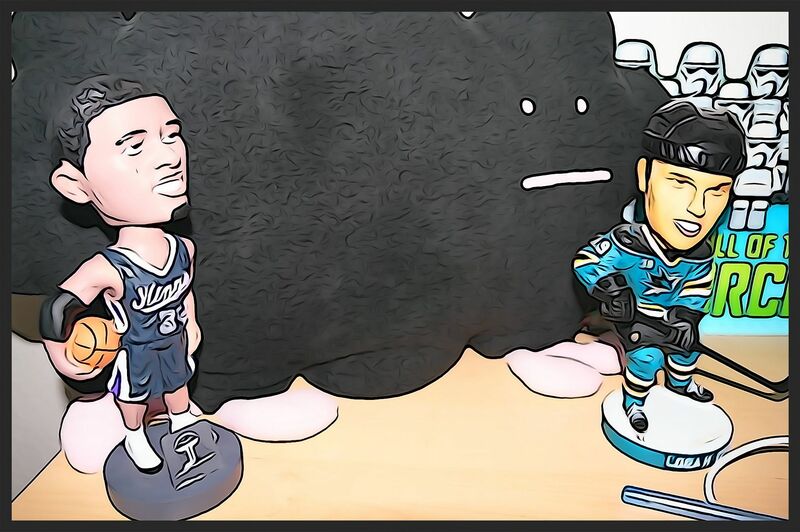 Panini is known for their many parallels, and this product just goes to cement that fact in the minds of collectors. Game Gear memorabilia cards feature jerseys of the players depicted. I'm glad to see Panini state that the enclosed memorabilia was game-worn! That really makes a difference on how I perceive these cards. Though these cards may be 'just' jersey cards, the cards are designed almost as if they were base cards... they have that sort of feel to them. 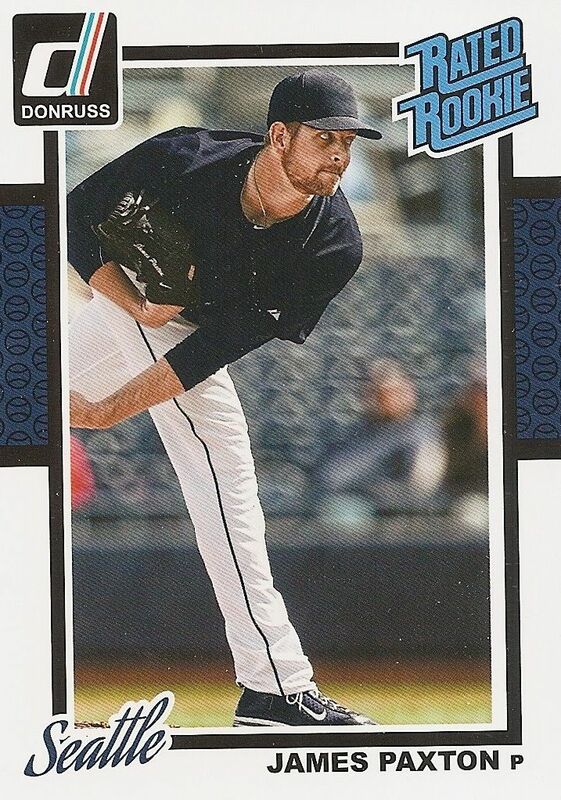 I really like this base card-y look, and prefer this to many of the other more generic looking regular jersey cards in other products. 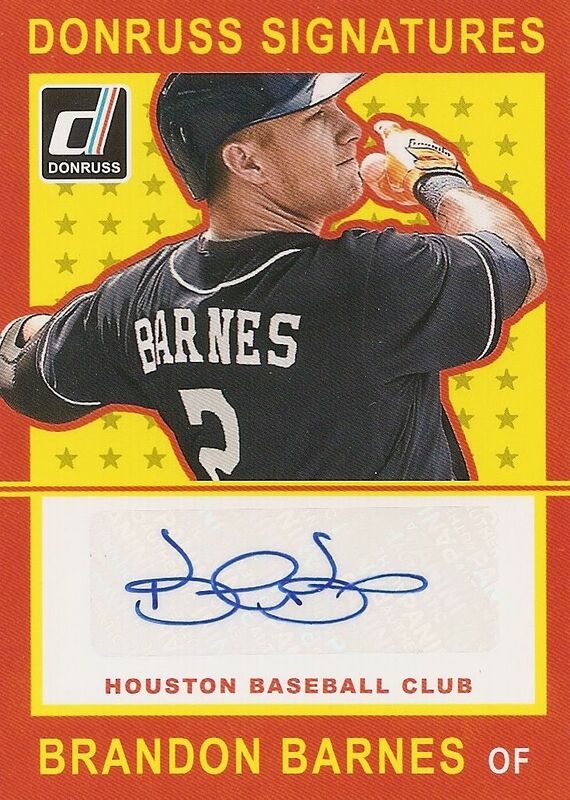 The standard autographs are these Donruss Signatures cards. Panini has used the bright orange and yellow retro design here. I feel that these cards are a bit too retro as the design here is more likely to be found in a product dating earlier than the first Donruss offerings in the early 80's. 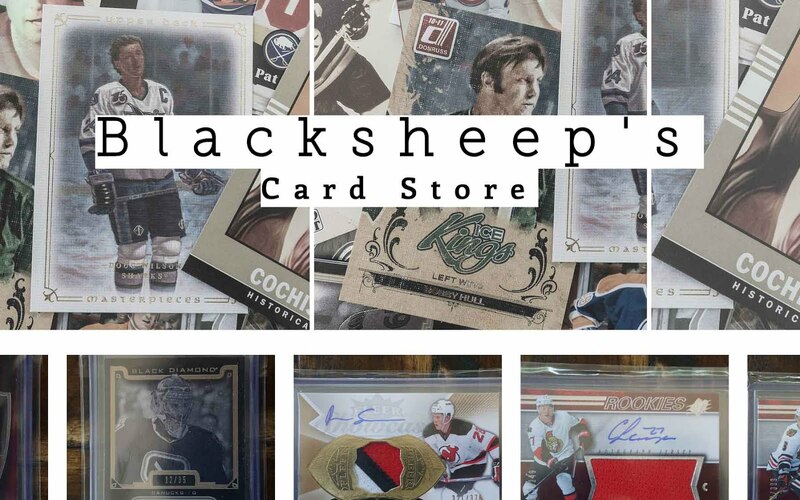 The cards feature sticker autographs and come on thin card stock. If I were to purchase a box of Donruss, the card I would want would be the old Donruss buy backs inserted into this product. Each buy back card is hand-numbered and very limited. I personally think buy back cards are a great way to add value into a product like this. For me, opening up a box of Donruss was fun and more fun. It was great to see cards with designs from my collecting past. For collectors who are like me, I think Donruss is a must get to re-experience childhood memories. For newer collectors, I'm not sure if the fun would be there. It's hard for me to say because I am so overwhelmed with nostalgia that it's a bit hard to be objective here. But I do think Donruss has enough in it to keep any collector happy... especially for the price. Donruss in not a product that will cost collectors even a hundred dollars for a box. It is, in fact, much less than that. 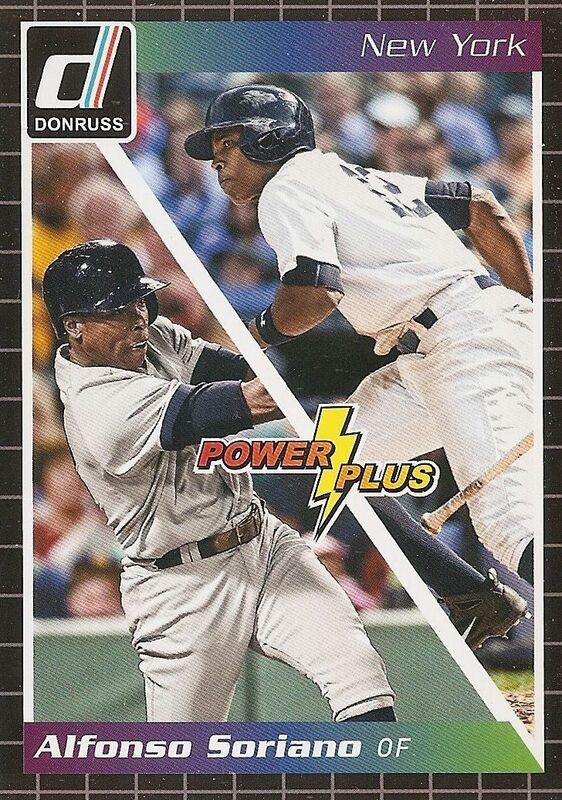 Donruss is a product worth trying, and is a product that I hope Panini continues in this manner. Panini doesn't have to continue drawing from every design from the past, but they could make the product as if it never ceased, and keeping the elements that made it what it was. That would be so cool. I definitely would be on board! A lot of cool numbered inserts. A much better Donruss product than what we've seen from hockey. Awesome looking cards! Glad they made this product! I don´t know much for baseball cards but this set has very nice old looking cards. I like the look of the cards a lot. + The Elite Dominators cards looks great. The foil effects really stands out! - The Game Gear cards doesn't feel that special to me. Base cards, esp the backs, look modern yet maintain that classic Donruss feel. 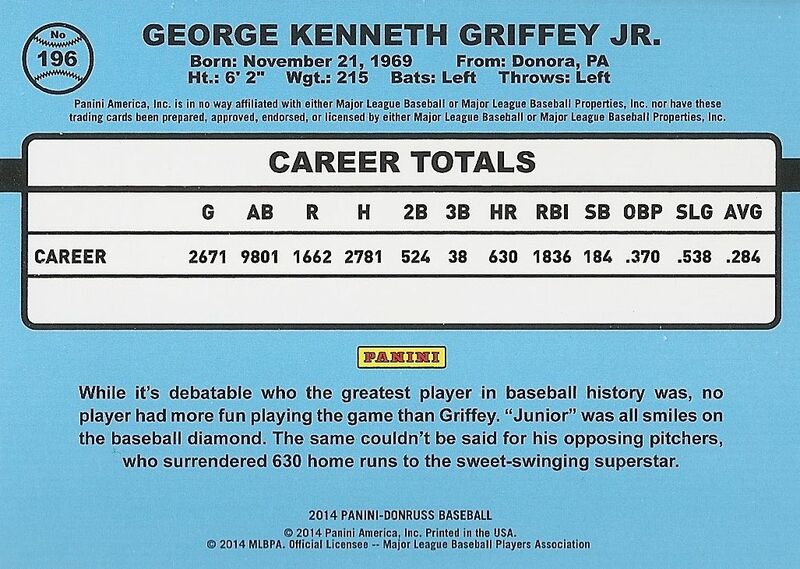 Love the glossy parallels numbered to a player's stat. Agree with you that this makes me confident that Panini can release a good looking, exciting hockey product without an NHL licence. I'll be honest: I hate the base design, I'd give it a 2/10 (2 for the back, everything else makes me want to burn the cards). 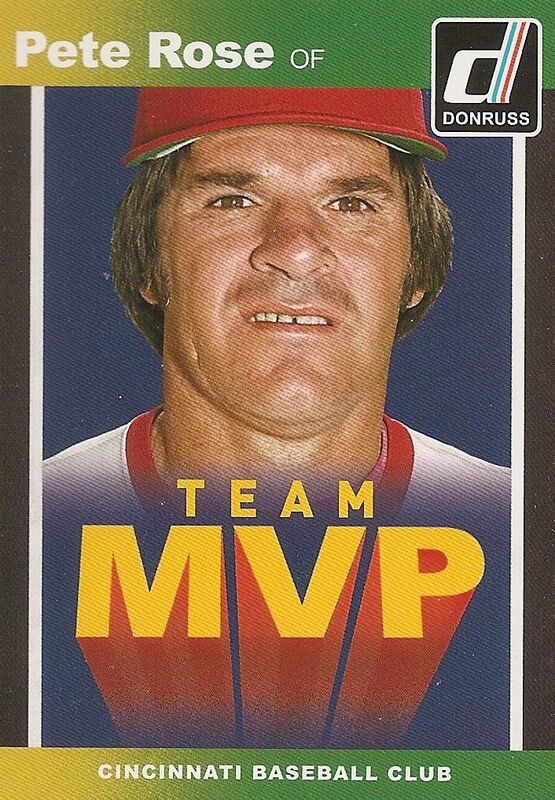 Inserts get a 9.5/10, the half a point lost because Pete Rose is in the set. I agree 110% with the Game-Used cards, and the autos are a little disappointing. Overall, I'd give it a generous 5.5/10. I personally won't touch it, but I appreciate you doing a review so I know not to touch it! Very cool product I always like a retro looking card. 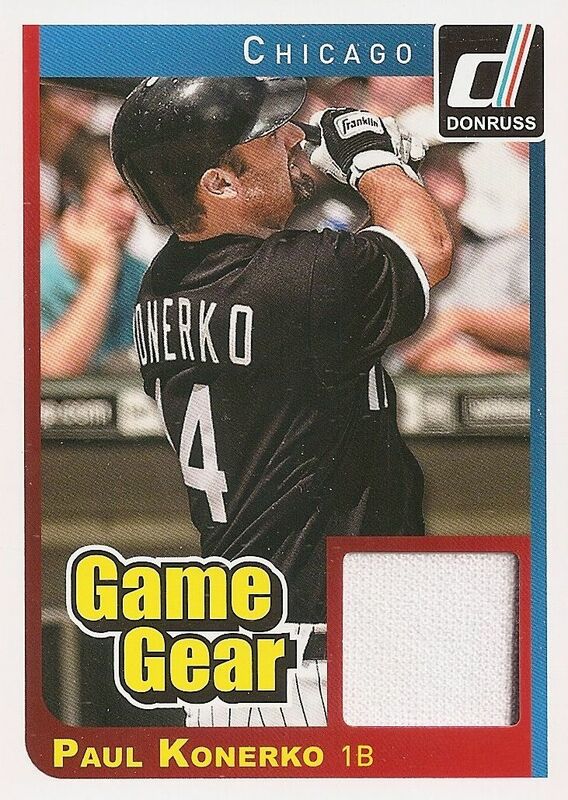 It is ridiculous how much better Donruss is for baseball than hockey. It looks like they did a very good job of recreating the old Donruss look and feel of the classic mid-80's versions. However, I just can't get into this set because of the constant top-of-heads cutoff photos. I mean, when I was a little kid the first thing I learned was to not cut off the top of the head when taking pictures, so I'd expect the same thing from a professional card photo! The old design is the best and its nice to see it again. Too bad panini doesnt have a liscense for baseball or hockey but you could tell that they put a lot of effort into the cards because they had to take out the logos from the players jerseys and fill the team names with only the city. 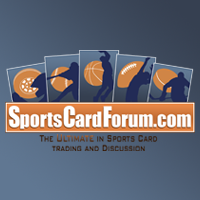 Its like what ITG does and I would like to see panini try this with hockey next year. Nice review Blacksheep and thanks for the giveaway!